''This initiative is a great example that showcases community collaboration,'' North Otago Sustainable Land Management co-ordinator Rob McTague said. Farmers Duncan and Evelyn Taylor gave some of their land so the cycle trail could be created safely away from public roads between Duntroon and Oamaru. Then they recommended a way to make a pick-up bay and rest area more appealing. Mr Taylor found large boulders on the farm and they have been used to landscape the site, where a three-sided shelter provides a place for cyclists to stop and sit for a while. They are protected against the prevailing wind and can look across the landscape. The shelter has been sponsored by award-winning Oamaru business Whitestone Cheese, the ''Guardian'' of that section of the trail. As a crowd of about 200 cheered them in, each of the 98 runners who survived to the final day of the seven-stage 323km ultra endurance race from Aoraki/Mt Cook to Oamaru was embraced at the finish line by the man who started the gruelling race as a way to bring a "world-class" event to the North Otago town. "If I haven't got the decency to stand at the line and welcome them home after inviting them to come and do the race, well, that doesn't say much about me." The weather was great, the crowd at the finish line was larger than in last year's inaugural race, and the atmosphere was "awesome". 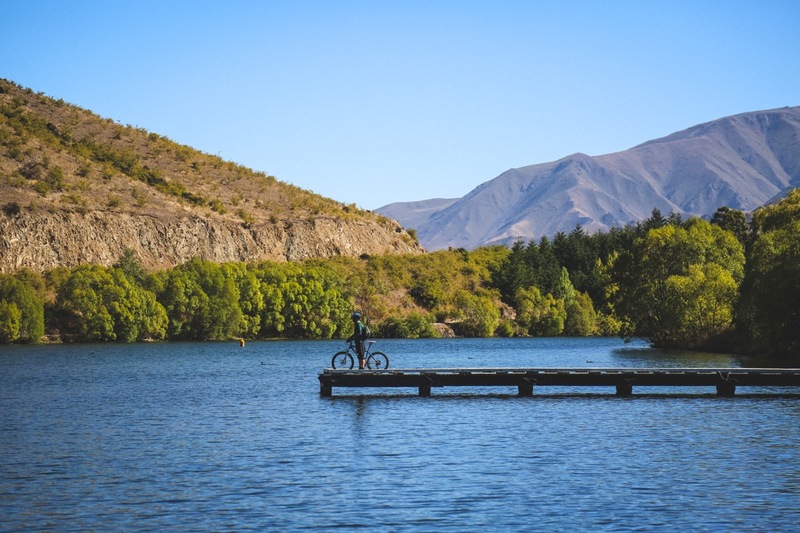 Set in the magic of the Waitaki basin, the White Rocks Gravel adventure is a panoramic roller coaster winding through North Otago’s most spectacular landscapes. Visually breathtaking climbs, exhilarating descents, and a tunnel as well. The first 3-4 km of the course is tarseal before you enter the gravel, and the first of a number of steep, but brief hill-climbs. Easing off at the top reveals wide-angle views of the Kakanui and Waitaki Valleys, with the awesome Kakanui Range providing the backdrop. Sections of undulating road give way to a glorious descent to Ngapara, and the start of the final climb to link with the famous A2O Trail. The final third of the event swoops down through the Rakis Tunnel [bring a light], and it’s all downhill through the hamlet of Windsor. Meander through the gorgeous old English trees and historic Elderslie Estate. Your exhilaration won’t allow you to linger long, with the thought of the Fort Enfield Tavern, and their warm hospitality just a few km down the road. All bikes and all riders are welcome! After overcoming mental illness and knocking off four of the world's most treacherous deserts, 24-year-old Australian ultra-marathon runner Jacqui Bell is in New Zealand to tackle her longest ultra-marathon. Bell is lining up in the Alps 2 Ocean Ultra on Sunday with 120 others from 14 countries to run 323 kilometres from Aoraki/Mt Cook to Oamaru in seven days mostly following the off road Alps 2 Ocean cycle trail. Speaking from Christchurch Airport on Wednesday, she told Stuff she expected the race to be "brutal". Completing it will bring her a step closer to being the youngest person in history to run an ultra-marathon on every continent in the world. "I'm hoping the scenery makes up for the toughness of it. It's a lot of kms, and my body hasn't done any more than 250kms ever. Timaru's longest-serving firefighter Trevor Karton, is about to mountainbike 310 kilometres in three days to give back to the helicopter service that saved his father's life. Now, the 66-year-old firefighter is one of 21 South Canterbury emergency services personnel tackling the Alps 2 Ocean cycle trail to raise funds for the helicopter service, as well as the Mental Health Foundation and New Zealand Flying Doctor Service. 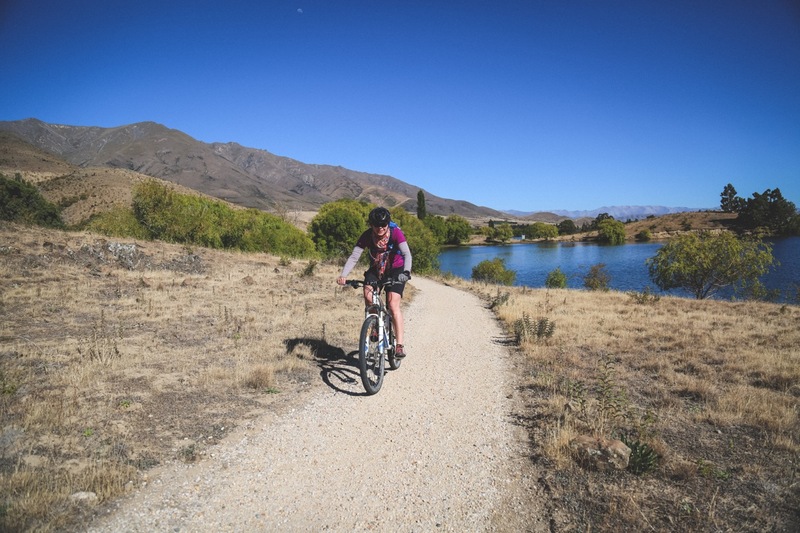 Karton, the oldest participant in the February 18-20 ride, has done pieces of the trail but was looking forward to doing the full Aoraki/Mt Cook to Oamaru distance. Alps 2 Ocean Ultra organiser Mike Sandri's take on this year's event is bound to send shivers down the spines of the 125 athletes competing in the endurance adventure race - it is going to be tougher than last year. The event, held for the first time last year, will be staged between February 24 and March 2, 2019. It will involve 125 athletes from 15 nations, including New Zealand, running a course of more than 320km over tough terrain, including sections of the Alps 2 Ocean cycle trail, in seven stages in as many days. The region's emergency services are combining pedalling power forces to take on a 310 kilometre mountain-bike in three days to raise money for three charities. Twenty members of Fire and Emergency New Zealand, South Canterbury police and South Canterbury St John are preparing to do the South Canterbury Emergency Services Charity Ride - Alps 2 Ocean in February. Check out our monthly newsletter for the latest stories, photos, events, and developments on the A2O. Be inspired by reading A2O adventures from those who've experienced the trail.